Cyberpunk Futurism is a chat group that currently lives on Slack. We talk about futuristic technology, as well as a lot of other topics, such as our daily lives. And memes. If you want to join, enter your email address in the form below. (I promise not to do anything untoward with it.) Please also check out the Community Expectations document, the text of which is copy-pasted after the invite form. Be aware that Slack exposes users’ email addresses in the user directory, meaning they can be harvested by other group members or by integrations. If you’re worried about keeping your email address private, please use a one-off or throwaway email account. This document outlines the behavior and communication standards of the Cyberpunk Futurism chat group. It serves as a code of conduct and is maintained by Way Spurr-Chen, who you can contact @wanderingway (well, I sort of change it sometimes, just ask for Way or say "admin" or "mod") or by emailing [email protected] You’re free to disagree with any and all of this and still participate, as long as you don’t behave like a jerk (speech is a kind of behavior). Huge credits to the original originator of this Slack group, Sonya Mann. 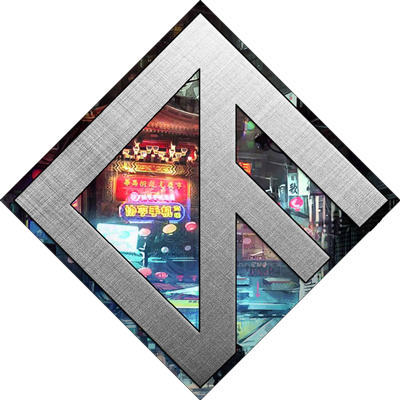 In the interest of fostering an open and welcoming environment, we as community members pledge to making participation in Cyberpunk Futurism a harassment-free experience for everyone, regardless of age, body size, disability, ethnicity, gender identity and expression, level of experience, nationality, personal appearance, race, religion, or sexual identity and orientation. The use of sexualized language or imagery and unwelcome sexual attention or advances, except in channels where that conduct is explicitly welcome (#nsfw, theoretically). Trolling, insulting or derogatory comments, and personal or political attacks. Other conduct which could reasonably be considered inappropriate in a collegial setting. Way and any future mods are responsible for clarifying the standards of acceptable behavior and are expected to take appropriate and fair corrective action in response to any instances of unacceptable behavior. Mods have the right and responsibility to remove, edit, or reject comments, commits, code, wiki edits, issues, and other contributions that are not aligned to this code of conduct, or to ban temporarily or permanently any contributor for other behaviors that they deem inappropriate, threatening, offensive, or harmful. This code of conduct applies both within project spaces and in public spaces when an individual is representing the project or its community. Examples of representing a project or community include using an official project email address or acting as an appointed representative at an online or offline event. Representation of a project may be further defined and clarified by the mods. Instances of abusive, harassing, or otherwise unacceptable behavior may be reported by contacting the admin: @way (or @wanderingway or @noway or something like that - just search for "way") or [email protected] All complaints will be reviewed and investigated and will result in a response that is deemed necessary and appropriate to the circumstances. The mods are obligated to maintain confidentiality with regard to the reporter of an incident. Further details of specific enforcement policies may be posted separately. Mods who do not follow or enforce the Community Expectations in good faith may face temporary or permanent repercussions as determined by other members of the project’s leadership. This document is adapted from the Contributor Covenant, version 1.4, available at http://contributor-covenant.org/version/1/4.